Cyberspace’s most famous activist, Julian Assange, is launching his own talkshow, to be broadcast exclusively on RT. The program, written and hosted by the founder of whistle-blowing site Wikileaks, will focus on his favorite topic: controversy. In his own words, the world-famous Wikileaks founder is “a pioneer of a more just world and a victim of political repression” which is why he promises to deliver a new type of television. Many are already wondering whether it will be as explosive as the biggest mass disclosure of secret documents in US history, also orchestrated by Assange and his team. 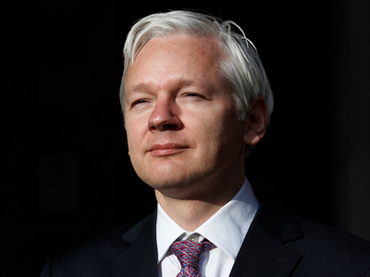 The show will be filmed at the very location that Julian Assange has been under house arrest for the last year and a half, with the first episode to be shot just a week before Assange’s Supreme Court hearing in the UK. He has been on conditional bail for 414 days, with no charges officially filed, as he fights extradition to Sweden. “Assange to record TV series for RT while under house arrest – I am sure it will be an amazing show!” RT’s editor-in-chief Margarita Simonyan posted on her Twitter on Wednesday. ““I’ve never waited for a show on RT with such excitement.””. Details of the episodes and the guests featured are secret for now, but check with RT for excusive trailer videos and sneak previews!